BA LLB (Hons) Melbourne University. Post Grad Diploma in Management Melbourne Business School. A qualified lawyer who has worked with Allens Arthur Robinson and as a Ministerial Advisor to the Victorian Attorney-General. 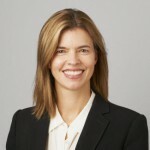 Kirsten was also Vice President of Group Legal with BHP Billiton and is currently Group Executive Corporate Services & Company Secretary at Orica.